Chiffon suits are made for semi-formal and formal events, plus when paired with the right accessories, they make anyone look stunning. 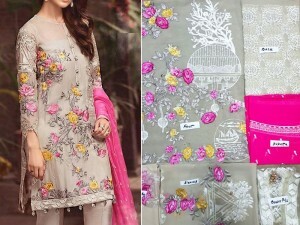 The trend of Pakistani chiffon suits fashion has been existing for years, ranging from minimal embroidered suits to heavily embellished dresses, you can find them all in the market. 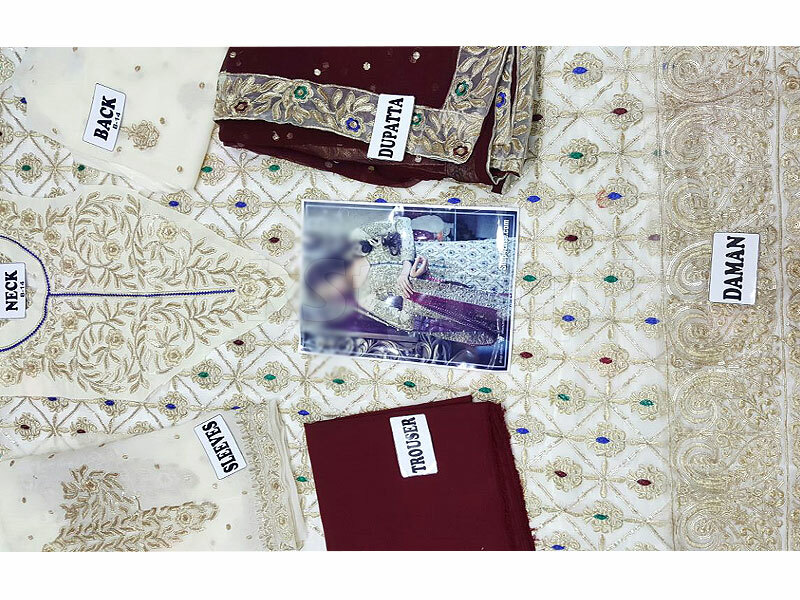 This Embroidered Bridal Chiffon Suit is a master copy of a bridal dress and is available as a three-piece suit with an affordable price tag. The suit carries a white shirt with matching sleeves and a maroon colored dupatta, plus trousers. 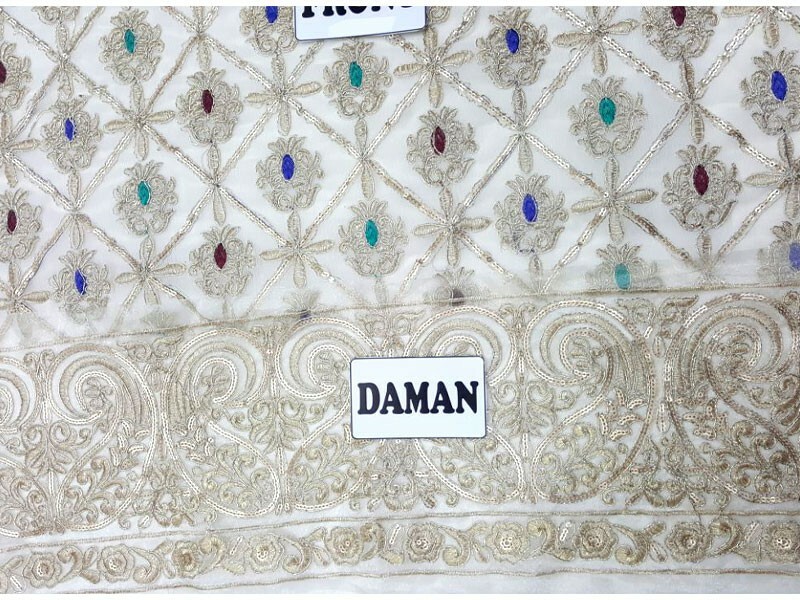 You can see the extensive zari & sequins work on the shirt, plus the dupatta features a more minimalist embroidery, accompanied with different colored flowers on the border to match the work on the shirt. 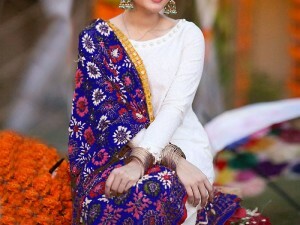 Both the shirt and the dupatta are made of good quality chiffon, with trousers of the crepe material. Embroidered Bridal Chiffon Suit Price in Pakistan (Code: M008835) offer by PakStyle are just Rs.3195/- instead of Rs.4500/-. 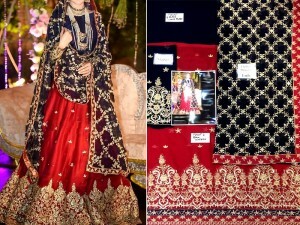 Buy Embroidered Bridal Chiffon Suit Online in Pakistan and variety of other products like Womens Clothing, Womens Dresses, Chiffon Suits, White Wedding Dresses at PakStyle.pk and enjoy Fast Shipping with Free Home Delivery in Karachi, Lahore, Rawalpindi, Islamabad, Faisalabad, Hyderabad, Quetta, Peshawar, all across Pakistan and get it delivered in 1-4 working days.